I wrote two articles recently on the Ray Lewis murder trial and incident that left two people dead. I felt the story had mostly been forgotten and ignored over the last decade, although leading up to the Super Bowl there has been a lot of coverage of the story. These types of stories are often deemed too controversial for the TV, radio, print and online media outlets that promote the NFL. 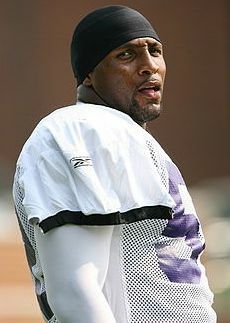 See Part 1 (http://www.examiner.com/article/ray-lewis-legacy-questions-remain-from-murder-trial-for-baltimore-ravens-star) and Part 2 (http://www.examiner.com/article/ray-lewis-former-co-defendant-speaks-on-argument-that-led-to-2-murders-2000) of the articles on Examiner.com. Priscilla Lollar, the mother of slain victim Richard Lollar, says Lewis is responsible for the death of her son. Reginald Oakley, one of Lewis’ co-defendants in the murder trial, says Lewis had a role in starting the argument that led to the killings. Ed Garland, the lawyer who defended Lewis, says Lewis did nothing wrong after initially misleading authorities the morning after the killings. The argument that led to the fight. The brawl that resulted in two fatal stabbings. The aftermath of the incident, including little known information about the knife found at the scene of the crime. Testimony that most people don’t remember, about blood found on the pillows in Lewis’ hotel room the day after the murders. Let’s hope for a great Super Bowl today between the Baltimore Ravens and San Francisco 49ers. But when you hear the broadcasters and players gush about Lewis, who undoubtedly is one of the greatest players of all time and has lived a spotless life off the field in the last dozen years, don’t forget the victims and the tragedy that occurred in Atlanta 13 years ago. To read my articles on Examiner.com, click here for Part 1 and here for Part 2. This entry was posted on February 3, 2013 at 11:56 am and is filed under Examiner.com, NFL. You can follow any responses to this entry through the RSS 2.0 feed. Responses are currently closed, but you can trackback from your own site.